Ava’s party theme was some stinking cute! Each of the cupcake toppers is created from fresh-made fondant. 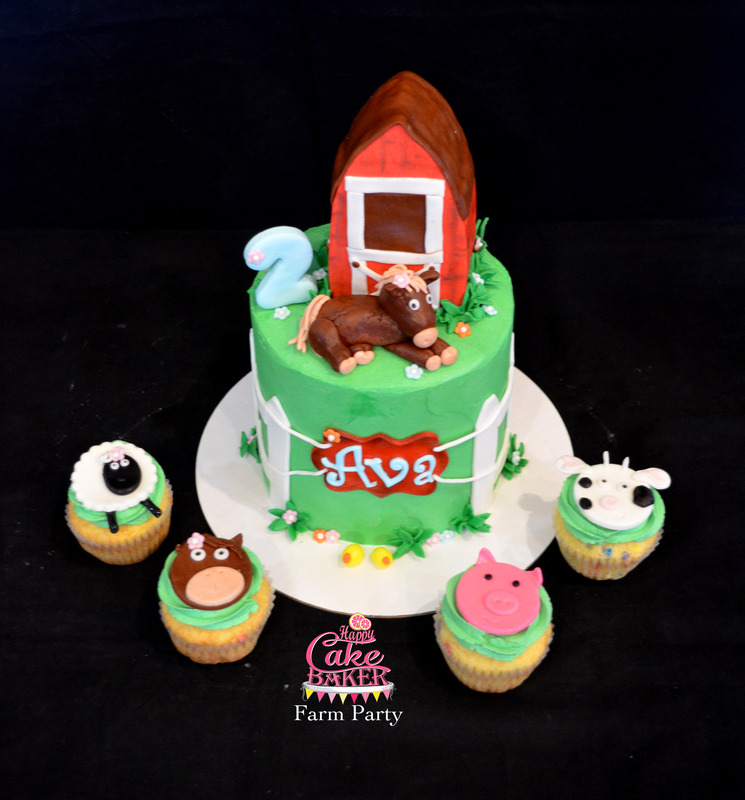 The barn and horse complete this cake. I was sad to see it leave but excited to see Ava’s smile when she saw it for the first time!